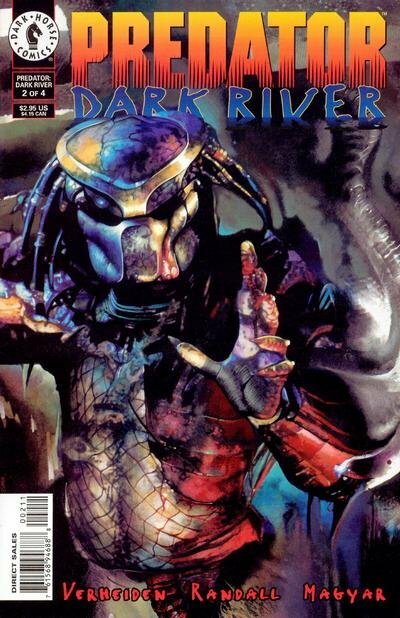 Click Here To See Predator: Dark River #2 Comic Book! Check out this very cool 1996 cover which was FULLY PAINTED by Miran Kim, from the Predator: Dark River series! 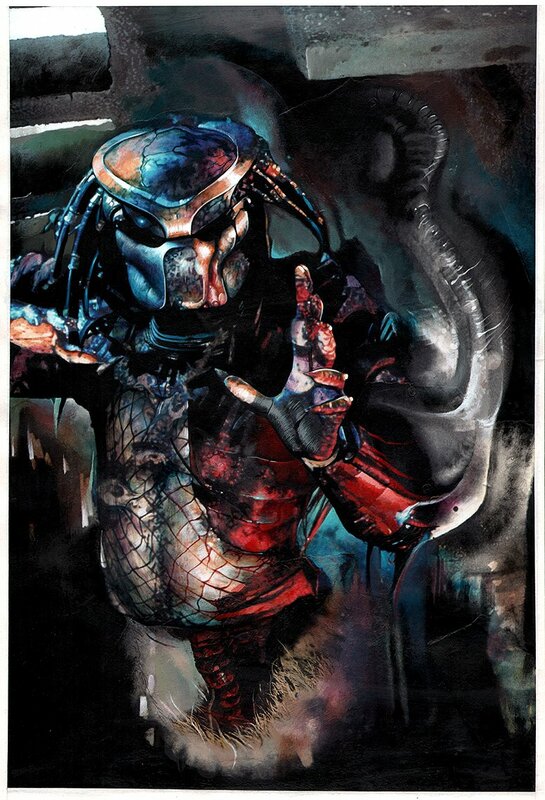 This amazing cover painting features the PREDATOR creature in all his glory as he gets ready for battle! These piece looks like an actually photograph it is so lifelike! Art image measures 11 by 17 inches on much larger art board! Miran Kim's art has been displayed at the Museum of Cartoonists and Comic Book Art in New York City. Compare this nice cover painting to the published comic book in the red link above, COOL!